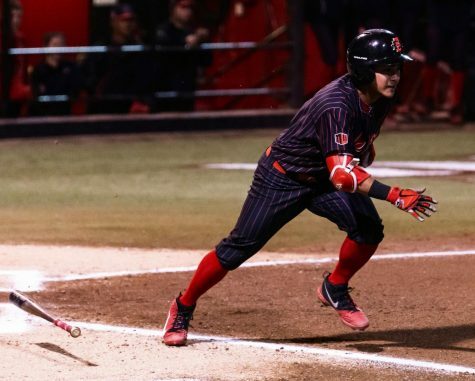 San Diego State softball started its season on the road in the Kajikawa Classic, hosted by Arizona State University in Tempe, Arizona. 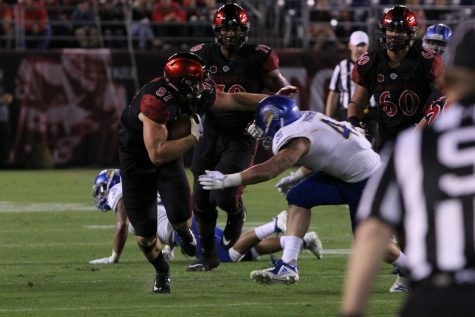 SDSU played six games in the desert, and only won one time. 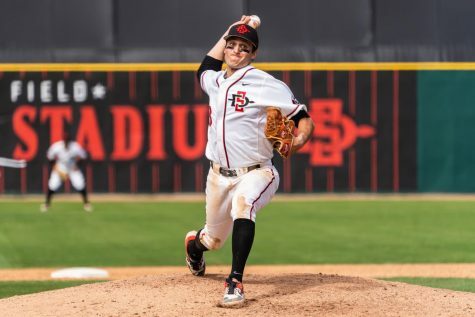 It marked a slower than expected start for the Aztecs, who came in to the year fresh off a 31-win season. 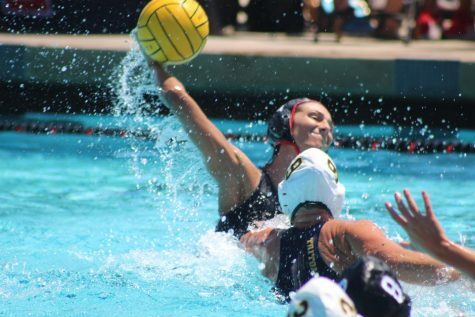 “I wouldn’t say slow, I would say disastrous,” head coach Kathy Van Wyk said. 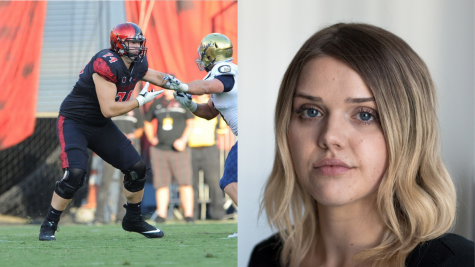 The most lopsided loss came in SDSU’s opening game, when the team was blown out by a score of 23-2 against the University of Georgia. 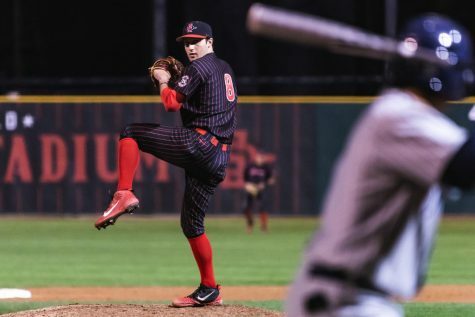 SDSU also lost to Stanford University, Northwestern University, University of Nebraska and UC Davis during the event, but Van Wyk said that the games — all within four runs and two that went into extra innings — could have easily had different results. 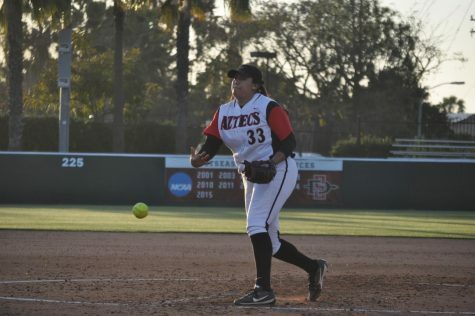 The Aztecs lone win came against Western Michigan University, thanks largely to a four-hit shutout from junior pitcher Julie McDonald. The team will face one final road test — a Valentine’s Day clash at UC Riverside — before heading back to SDSU for the annual Campbell/Cartier Classic. 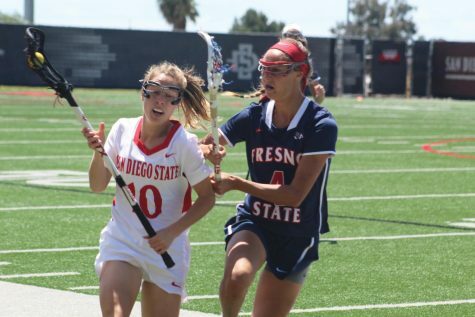 The event is named for former Aztecs softball players Susanne Campbell and Karin Cartier, both of whom lost their lives in a car accident during the 1991 season. This will be the Classic’s 28th year, and the Aztecs will kick it off on Feb. 15 against a ranked team in No. 25 University of Kentucky. Kentucky comes in with a record of 1-2 after winning the last of a three game road slate against New Mexico State University on Feb. 11. The Wildcats scored five runs in the seventh inning of a 10-2 victory, and were led by five RBIs from junior utility player Abbey Cheek. “Kentucky, a (Southeastern Conference) program, is a very good program and we are looking forward to starting out with them,” Van Wyk said. 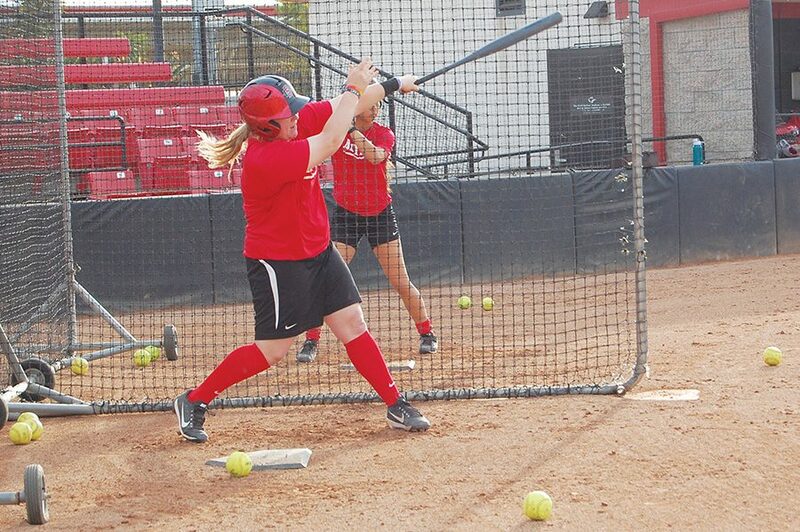 Second baseman Katie Byrd, a redshirt junior from Santee, is currently leading the team in batting average with .421 and said that she is excited to play in front of the hometown fans. SDSU will then play a doubleheader on Feb. 16, first taking on North Dakota State in the afternoon before an evening game against University of Illinois at Chicago. NDSU is coming off a 2-1 victory in nine innings over Utah Valley College on Feb. 11, with senior pitcher Jacquelyn Sertic striking out 16 as part of a complete game. UIC, meanwhile, has gotten off to a 2-2 start, most notably defeating the University of Samford by a score of 11-1 in the Mardi Gras Classic. Center fielder Lexi Watts went a perfect 5-for-5 in the game with three runs for UIC, and the junior leads the team in batting average at .464. One player who the Aztecs will be counting on for their own offensive production is junior catcher and third baseman Molly Sturdivant. Sturdivant leads the team with two home runs, but said that her main focus is simply on making good contact. The Aztecs will have a day of rest before completing the event with a pre-noon matchup against Cal State Fullerton on Feb. 18. CSUF has started the season a record of 3-1, and is looking to improve on its NCAA tournament regionals appearance from a year ago.